Can you believe that as a nutritional consultant, I actually warn my clients about the potential heath dangers that the consumption of soy can cause? You may be thinking to yourself, “What the heck? The media tells me that if I include a lot of soy into my diet, I will decrease the risks of cancer (especially breast and colon) and also reduce my chances of getting heart disease.” Those sound like positive claims, right? This is where the controversy begins: To soy or not to soy? If you really read your food product and supplement labels, you will quickly discover that soy is everywhere. 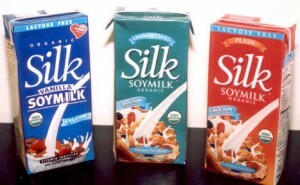 Some examples of soy derivatives that you can run across while reading labels arehydrolyzed vegetable protein (HVP), vegetable protein concentrate, vegetable oil, MSG (monosodium glutamate), soy protein isolate, soy lecithin, TVP (textured vegetable proteins) and, the most prominent of all, soy oil. 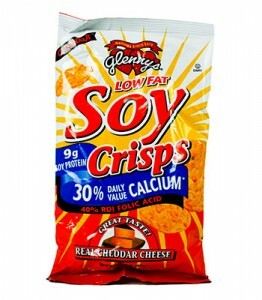 Other popular soy products include: soy milk, soy yogurt, soy cheese, soy protein powders, soy baby formula, tofu, soy sauce, vegetarian burgers and meat alternatives. According to the media and some health experts, this would be a good thing, but I would encourage you to think again! Soy contains high levels of phytic acid that can reduce absorption of calcium, magnesium, copper, iron and zinc. Soy contains trypsin inhibitors, which hinders protein digestion. Digestive upset, including bloating is a common reaction. Soy phytoestrogens disrupt endocrine function and have the potential to cause hormonal imbalances in both men and women. Soy has goitrogenic effects—it impairs the body’s ability to produce thyroid hormones. Soy foods increase the body need for Vitamin B12 and D.
So why is soy such a prominent part of our food supply? The answer to that is simple. The USA grows a lot of soybeans and the beans itself and the bi-products are cheap. This equals big profits for companies that use soy as a filler in their products. Therefore, we have been fed the story that soy is a miracle food that should be eaten in abundance. I could go on for hours about this topic, but space and time are limited here, so if you’d like more information and a longer list the negative affects of soy click here. There is also a great book that I recommend called the Whole Soy Story, by Kaayla Daniel, that is worth checking out. I want to share this information with you because the media has only told half of the story when it comes to soy. Before you think that I have totally dismissed the consumption of all soy products, I do agree with including small amounts of fermented soy products (tamari, tempeh, miso and natto) into your diet. This is how Asians have traditionally used soy for centuries. However, I urge you to start to question the beliefs that you have about what is healthy and what isn’t. Soy is just one example of a nutrition myth that needs more explanation. I am starting an 8-week seminar series called “Change your plate. Change your life,” on July 15 that will be busting other nutritional myths and helping you learn how to eat to look and feel better. If you want more energy, weight loss or better athletic performance, please check out my website for more information on this seminar series and other upcoming events. What’s on your plate?